The Best Guarantee Of Safety. 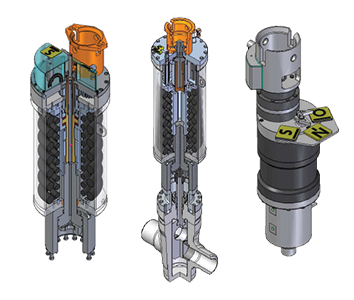 Subsea linear hydraulic actuators for slab gate valves are designed for deep water application with hydraulic operating pressure of 3000psi or 5000psi as per Customer requirements. 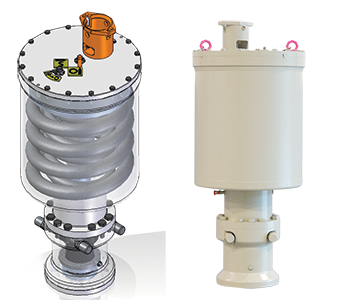 Actuators are design in accordance with API17D with the addition of customer requirements when present. 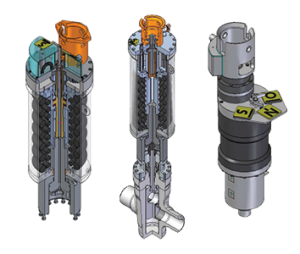 Subsea quarter turn hydraulic actuators are designed for deep water application with hydraulic operating pressure of 3000psi or 5000psi as per Customer requirements. 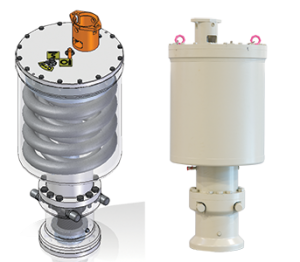 Actuators are design in accordance with API17D with the addition of customer requirements when present. The core mechanism of the actuator can be Rack & Pinion or Helical Spline. All models can be equipped with mechanical override intervention mechanism and all models can be diver or ROV retrievable. Helical Spline mechanical override can be designed not compressing the spring.